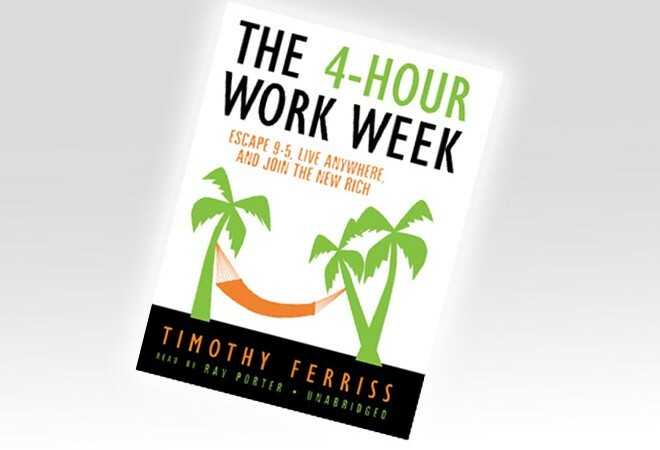 The 4 Hour Workweek: Is Tim Ferriss a Brilliant Scammer? Yesterday I stumbled upon an interesting post when I Google’d the words “Tim Ferriss scam.” You can find the full post here, but basically the author isn’t exactly a fan of Mr. Ferriss or his methods. In fact, she hates him. It appears that she even met him. I’m not sure what Tim is like in real life, but I was astounded at the number of comments she received either criticizing Tim or lavishing him with adoration. Such a larger-than-life, polarizing figure is not uncommon, but it’s also funny to see how many people out there have such strong opinions of someone they have not even met. Such strong opinions do not form out of nowhere. Often they come from our own insecurities, lurking in the background until someone brings them out. At any rate, for those who have not read the book, I’ll give you the basic synopsis. You can also check the book out for yourself and use your own judgment. This book talks about how it is possible to outsource everything in your life by hiring people, working remotely, and using the proceeds to travel the world and “live it up.” Tim speaks about balancing “mini-retirements” with working periods – something like one month of travel and two months of work. He says it is possible to do this if you follow his advice. He also recommends some interesting “life-hacks” such as minimizing unnecessary contact by checking your e-mail only twice a day, using unorthodix methods to win national championships and finding ways to get incredibly reduced airfare. But those are just appetizers. Achieving the four hour workweek is the meat of the book. Is the four hour workweek possible? Or is Tim conning us from his private island with waves at his feet and a laptop with 8 hours of battery life at his side? Perhaps, to him, it’s not important. A little controversy never hurt anyone – and certainly doesn’t seem to be hurting Tim. That’s the problem with larger-than-life figures: they don’t often need to stand behind their product – they just need to sell it. My other problem with the book is that there is not much emphasis on “doing good” with his newfound time. There isn’t much talk about ethics in this book – there are promises of exotic islands and tango dancing competitions in South America, but not much of a mention of volunteering, or starting a charitable organization, or helping family. Not that these are bad things – who doesn’t like to have fun and travel? Who doesn’t like adventure? I know I do! However, if I was making $40,000 a month I wouldn’t be JUST blowing it on motorcycles, traveling and sipping wine in the Azores. I suppose if that is your ride, than so be it. I’d rather make a difference in the world. Still, I will say this: this book DOES have some good ideas. And it DOES encourage you to make something more of your life, and not sit and watch your life pass you by. As is true with most things in life, it’s all about balance. Tim is not a scammer. He’s a brilliant marketer and salesman who likes to have fun and “play with the system.” But don’t make the mistake of thinking you can easily be like him. Then again, would you want to? I thin there are possibly a sizeible number of people with inbetween views on 4hww – but they are not enthralled or passionate enough about it to write a review / comment ! Good piece, Mike, and I liked what you had to say about giving back. No offense to Tim Ferris — I haven’t read the book (maybe I’m the only one who hasn’t) — but personally, I don’t think it’s about time or number of hours spent working. Time slips away, no matter what, so it’s all about doing what you enjoy with the time you have on the planet. For some people, that means working round-the-clock until the day they die, and for others it means finding a way to sip ice tea on a beach in Aruba. If I was doing that for 36 hours a week, I’d go crazy, but having the freedom to choose what I do with my time — that would be nice. So it’s really not about time but about freedom, no? I have a great idea, I’ll write a book, “The 3 hour work week.” When people have a choice between working 3 or 4 hours, they’ll choose 3. It’s a no-brainer.